Vaccon offers a wide range of vacuum cup styles and sizes. Fittings in multiple styles are also available individually or as a cup assembly. 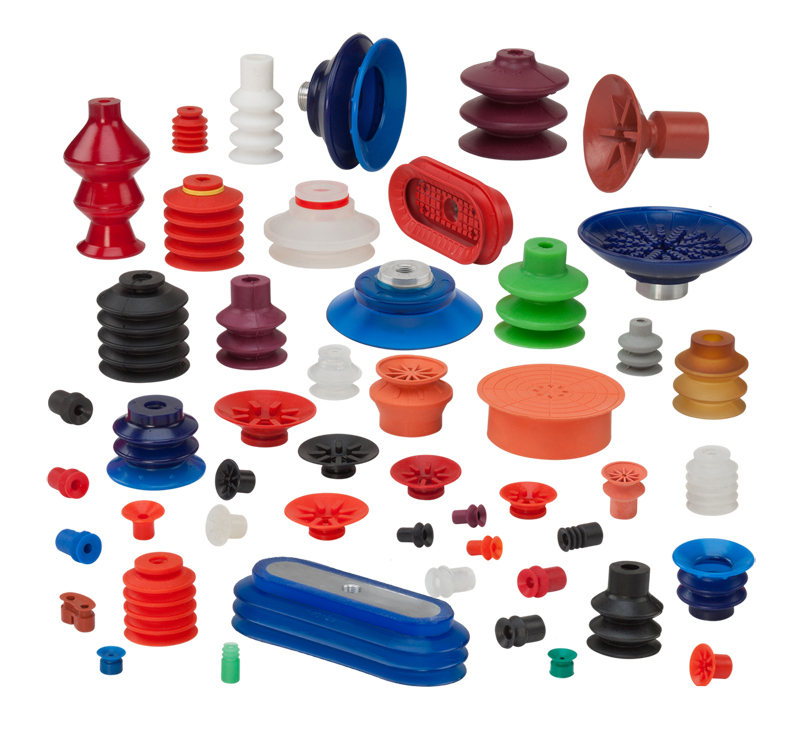 Cups are available in various durometers, colors and materials. Depending on your application, sizing a vacuum cup and pump may require some trial and error. This is why Vaccon offers a 30 Day Test & Evaluation program. If you don’t have the time or resources to test products yourself, we recommend that you send us a sample of the product and we will size the cup and/or pump for you. With our in-house video studio, we can email short videos and/or digital photos of the product in action with the properly selected vacuum cup and pump. Need a crossover for a competitor's product? Call Vaccon for assistance in choosing an equivalent model.